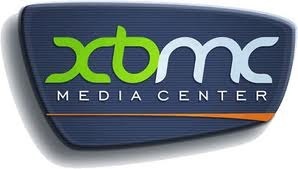 I have been making further tweaks and updates to the ATV2 version of XBMC to try and get the software more stable and usable. To be honest after the first couple of days I wasn’t really feeling the love XBMC – on ATV1 it was pretty stable and I had done a number of modifications to get it as close to best performance for my needs but ATV2 just wasn’t there. So I got the latest semi-nightly build from the 15th May compared to the previous update from the 7th of May. Things are getting better all the time. What follows could be treated as guide how to update on the assumption that you have already jailbroken your ATV2 and have at least the official build of XBMC installed already. I have been a user of XBMC for a few years ago. It started with a modded Xbox for me. I was really “wowed” by how cool the whole thing was and what its capabilities were. But is was noisy, So I moved on up to an Apple TV. This was great. Better performance and silent – however there were a few playback issues for me such as HD content. To this end, since the announcement in January, Big News from XBMC I have been considering getting an ATV2 as this can handle HD (720p at least) and it absolutely tiny.